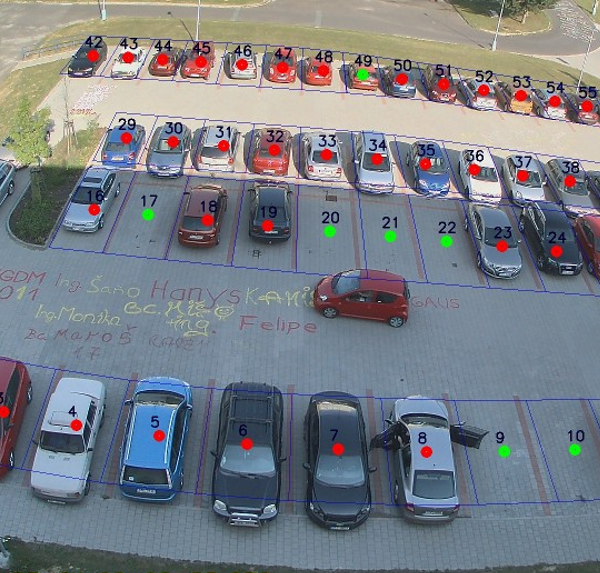 Media Research Lab (MRL) is a team of people (teachers and students) at the Department of Computer Science, Faculty of Electrical Engineering and Computer Science,VSB - Technical University of Ostrava. The main fields of our professional interests include digital image processing, visualization, GPU computing, and mobile systems. 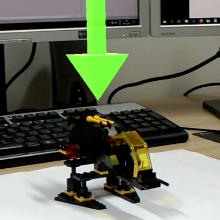 Since we are at the university, we must stress the research features of what we work on. But we do believe that everything what we do should also be inspired by practice and useful for somebody, e.g., for industrial companies. In January 2017, we presented our applications and devices at three events. 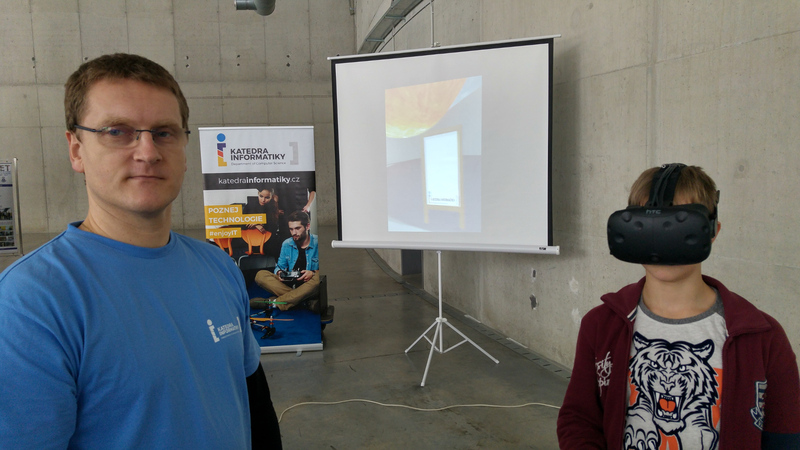 The first event occured at Science and Technology Center in Ostrava-Vitkovice, where we presented our virtual reality applications developed by our students supervised by Martin. The virtual reality was also the main part of our exhibitions at the high school in Sumperk, and at our university as a part of Open Days Exhibition. 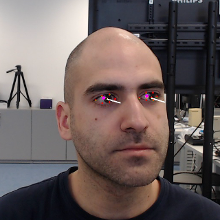 We also presented our computer vision applications, especially the mood detector. The photos from these events are here. 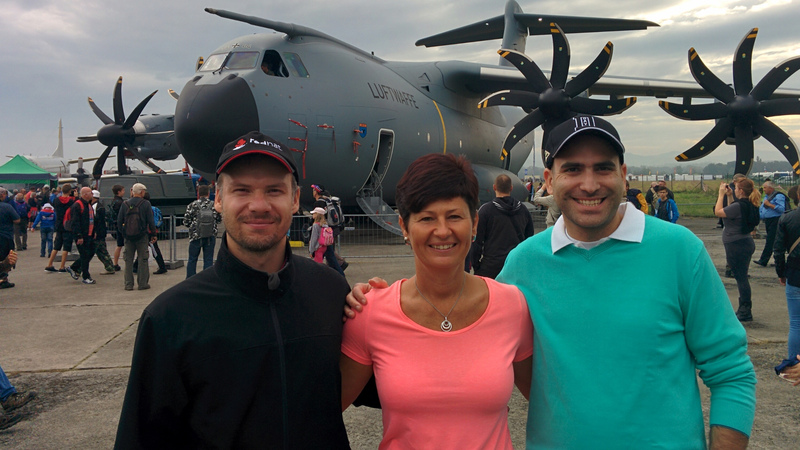 In September 2015 and 2016, our faculty and also our group had a big stage in NATO Days in Ostrava, which is the most-visited event in the Czech Republic. The program consists of presentation of military equipments, state-of-the-art soldier technologies, and much more. 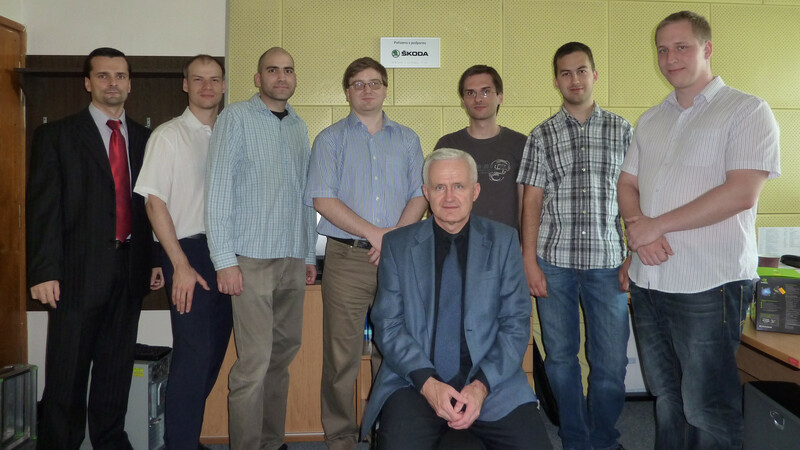 MRL (represented by Honza, Radovan and Michal) demonstrated several image processing applications. 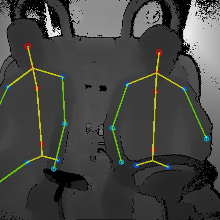 For example, detection of the obstacles in front of the train, eye state detection, gaze detection, mood detection, and detection of the driver body parts. Some photos can be seen here. During the spring 2014, we had launched new servers for GPU computing. The servers is equipped with 16 Intel Xeon cores and two NVIDIA K20m GPU cards. The servers can be used by everybody who is interested in GPU computing using CUDA environment. See Merlin servers (in Czech) description. Our student Tomas Trval is now leaving for Wolfsburg for a long stay intership. He is the second student after Michael Holusa who was there in 2011.